When I was in middle school and high school I washed my hair everyday, foolishly disregarding my hair dresser’s warning about the consequences of over-washing and disregarding my mother who told me to do an oil massage once a week. On top of this, I never paid attention to the ingredients in my shampoo. This eventually dried out my scalp and left my scalp super itchy and dry, which in turn led me to believe I needed to wash my hair even more. Long story short, my scalp was upset with me. Frustrated by this, I spent so much time trying different shampoos for dry scalp that essentially did nothing for me. That’s when I tried this easy and natural home remedy for itchy dry scalp and since doing this regularly, my scalp has gotten much healthier and isn’t itchy or dry at all. Itchy scalp can be caused by different factors, but many times it’s simply a sign that your scalp is dry and needs to be moisturized– that was the case for me. I started using sulfate free shampoo– Paul Mitchell Awapuhi is my fave– since sulfates strip your scalp of natural oils that are essential for hair growth, and I stopped washing my hair so often. Still, my scalp was itchy due to all the over-washing and being stripped of its oils for years. The product that saved my scalp is tea tree oil, which is naturally anti-bacterial, anti-fungal, and anti-inflammatory, but moisturizing since it is an oil. 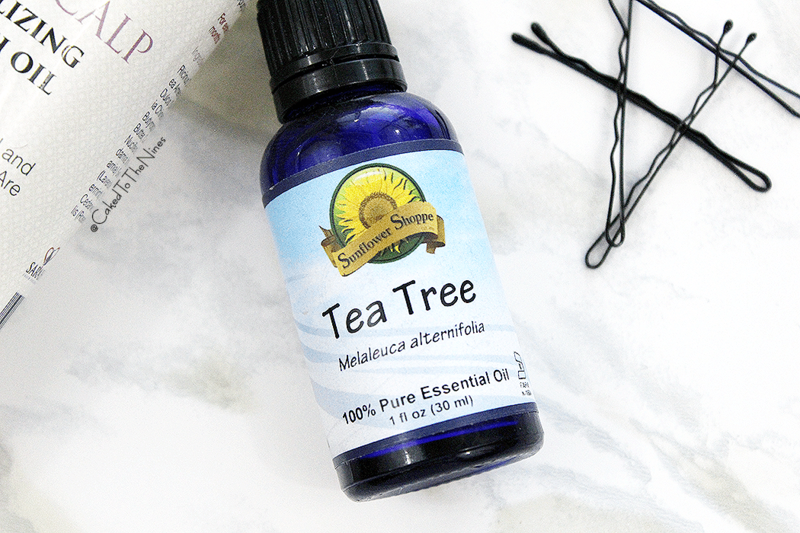 The only thing you have to be cautious of when using tea tree oil is that it’s a harsh essential oil that can cause sensitivity and even dryness when used alone so you need a carrier oil to dilute it. I’ve been using this oil from Sarah Faith Organics* that has some good organic oils such as sweet almond oil, castor oil, and avocado oil just to name a few, but you can use any oil you prefer– cold-pressed oils are the best! 2-3 tablespoons of a carrier oil (jojoba, coconut, avocado, etc). This recipe should also help with dandruff so if you’re experiencing any flaking, I would try this out! If you do try this, or have tried this before, let me know! Have you ever dealt with itchy scalp? Do you have an easy natural at home remedy for itchy dry scalp or any other tips? Let me know in the comments below!